How to organize or host colour run with Color Run powder paint. And what makes a Run a Colour Run? A Colour Run is not about competition. It is all about colours, having fun together and stay fit. People are invited to run a track with several colour stations. At these colour stations, the passing colour runners have colour run powder thrown at them. The length of the colour run track is most of the time 5 km. That is why people also call it a happy 5k. Host colour run with Kingdom of Colors. color run powder paint on the passing colour runners. When reaching the finish each runner should have passed all colour stations. Everyone will be nicely covered with coloured powder. Below info should give you guidance how host a colour run. Below we explain step by step how to host a colour run. A colour run is also a very good charity fundraiser. the passing runners. 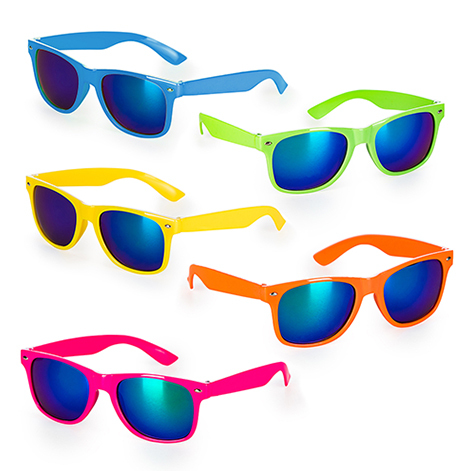 Get the colour run station ready on time and instruct the volunteers not to aim for peoples faces. You can mark the colour stations with flags and blow-ups. For the colour stations we offer 1KG / 5KG / 10KG / 25KG bulk packaging in 7 colours. playground, city square work perfectly fine as colour run track. Most colour runs choose a length of approx 5 km. But you can decide this for yourself. Sometimes for kids a little shorter track works better. Host a colour run and have fun! Buy colour run powder in Britain, UK or Ireland that is safe and certified. Do not compromise on this. Avoid the risk of having people with health and cleaning problems or damage to the environment. A question we receive a lot: How much colour run powder paint do I need for a colour run? If you calculate 350 to 400 gram per participant, you will have enough to host a successful event. That comes to 70 to 80 gram per person per colour station. 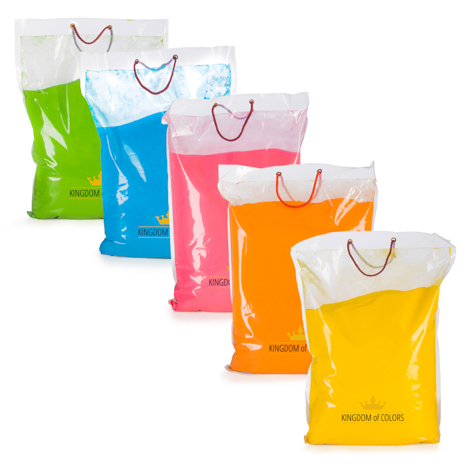 The bulk holi colours or powder paint for the colour stations we supply in 5 / 10 / 25KG bulk colour bags. Buy colour run powder in Britain, UK or Ireland at Kingdom of Colors. 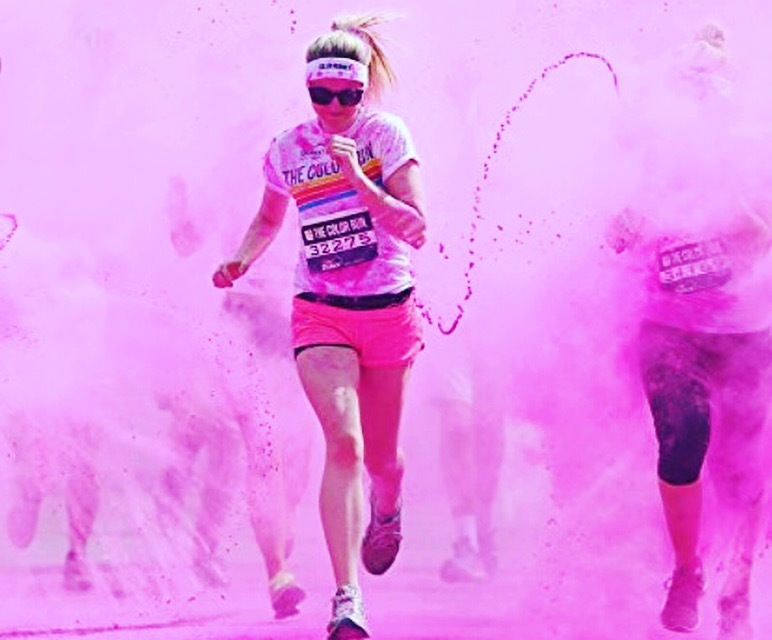 Organize colour run with our safe and certified powder paint. A good finish is something that can give your colour run that bit extra. All runners can celebrate together they reached the finish line. It is always fun to see your fellow runners covered with paint powder. This is also the moment you can create the famous count down moment. 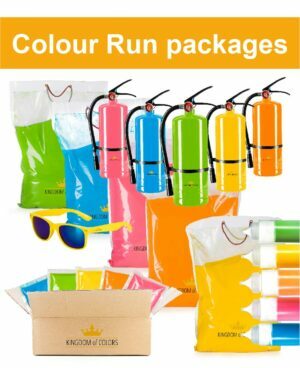 By distributing small colour powder bags with paint powder to all runners you offer them a once in a lifetime experience. One person should coordinate the countdown. If you have a DJ this will be the perfect person to make everyone throw the holi colours in the air at the same moment. This all should give you guidance how organize a colour run. Host a colour run and have a great time! Check here for some tips and tricks for cleaning after a colour run. Contact us if you want to buy paint powder paint in Britain, UK or Ireland.